Plum Goodness had offers running like crazy this Christmas. The Plum Goodness Green Tea Face Mask and Mattifying Moisturiser were on my wishlist for so long. So when the Plum Full Face Green Tea Set was on sale I immediately grabbed the offer. 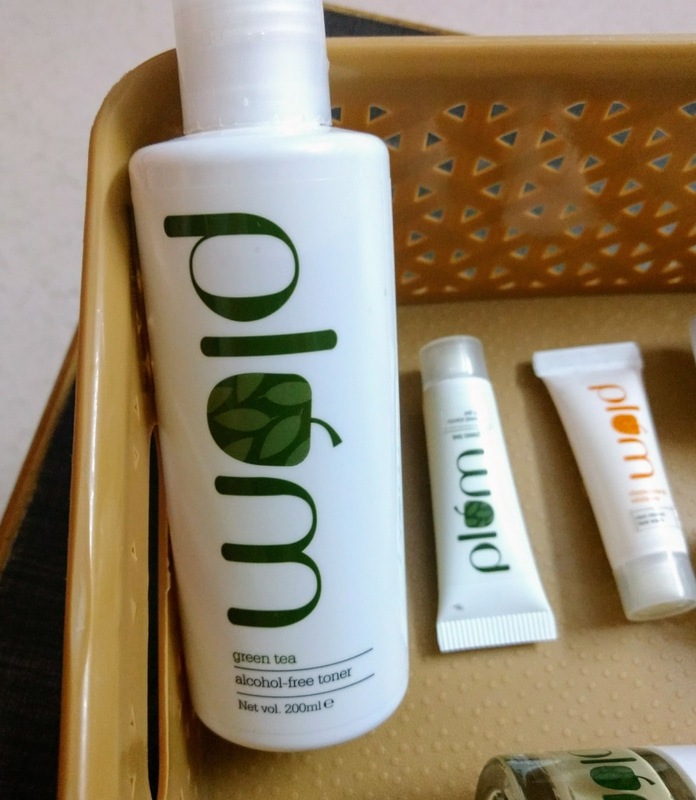 With the set we had an option to choose Green Tea Mattifying Moisturiser without any extra charges. Also the Green Tea Clarity Renewal Gel for additional charges and both the moisturiser and gel for additional charges. So now you know why I picked up the Mattifying Moisturiser 😂😂. Jokes apart, I picked up Mattifying Moisturiser based on the recommendation of Dipti of Gorgeouslyflawed.com. 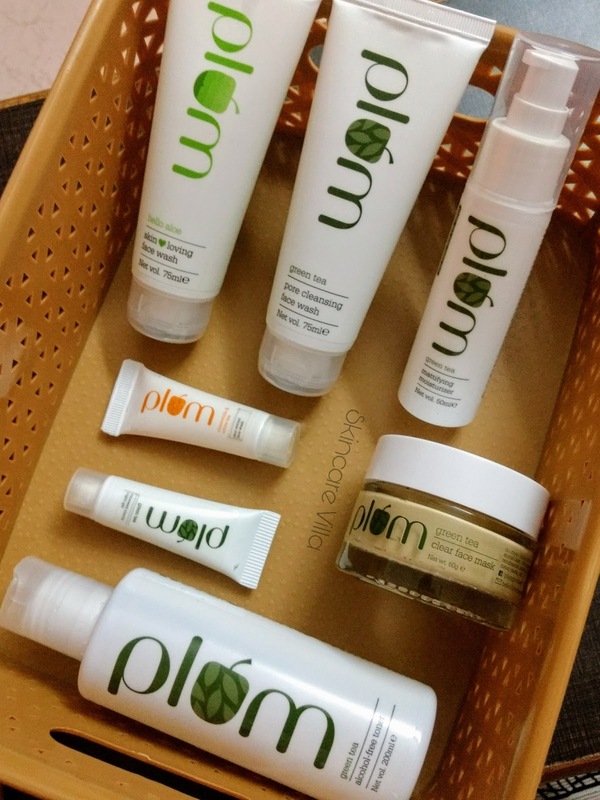 If you are a makeup and skincare fanatic, do check her blog. So here goes the deal which was too good to be resisted. The full Green Tea Set consisting of Green Tea Pore Cleansing Face Wash, Green Tea Toner and Green Tea Face Mask was priced at 1270 INR. To this set we had an option of adding Mattifying Moisturiser at no extra charges. I immediately picked up the Moisturiser. Again, after shopping above a certain limit, I got a Hello Aloe Face Wash, full size, for free. So that was a super duper deal wherein if we calculate I got 5 products at 1270 i.e. 250 INR per product. So, coming back to the haul let's quickly go through the first impressions of each product. I have used this face wash during my peak acne period and the face wash had majorly reduced my breakouts. This face wash is a must try if you have oily acne prone skin. And since summers are around the corner it is a good time to stock up on this promising face wash. 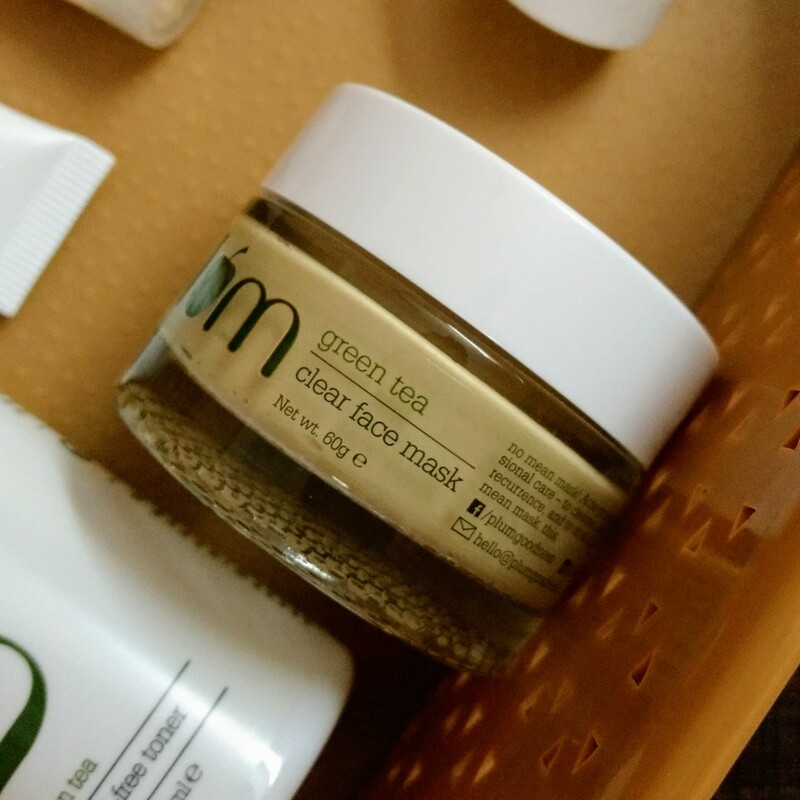 The Green Tea Pore Cleansing Face Wash has made it to my list of favorite face washes for oily skin as well as the ones whicj can be used during winters as it is absolutely non drying. I don't like this toner and it's fragrance. It also irritatea my sensitive nose area. Since it was an integral part of the Green Tea Set I had no option but to pick it up. Although it does tighten the pores after regular usage. Some products are on our wishlist for so long and this one is one of them. I am totally digging the packaging. I haven't used it yet, will be posting a full review after using thoroughly and sufficient. I need something light for the approaching summers and hence I picked up this based on the recommendation of my Blog Guru Dipti 😊. Full review will be posted and will be linked back here. I am going to keep this sample size for my travelling as I like to travel light with my skincare products. Meh. To sum up the product in one word 😞. I quite liked the idea of trying out samples before trying full size products, so yes I am glad I didn't pick full size of this gel. Ah yes, the cream coloured bag which we receive for free with the set has been already claimed by my Mom ♥️. 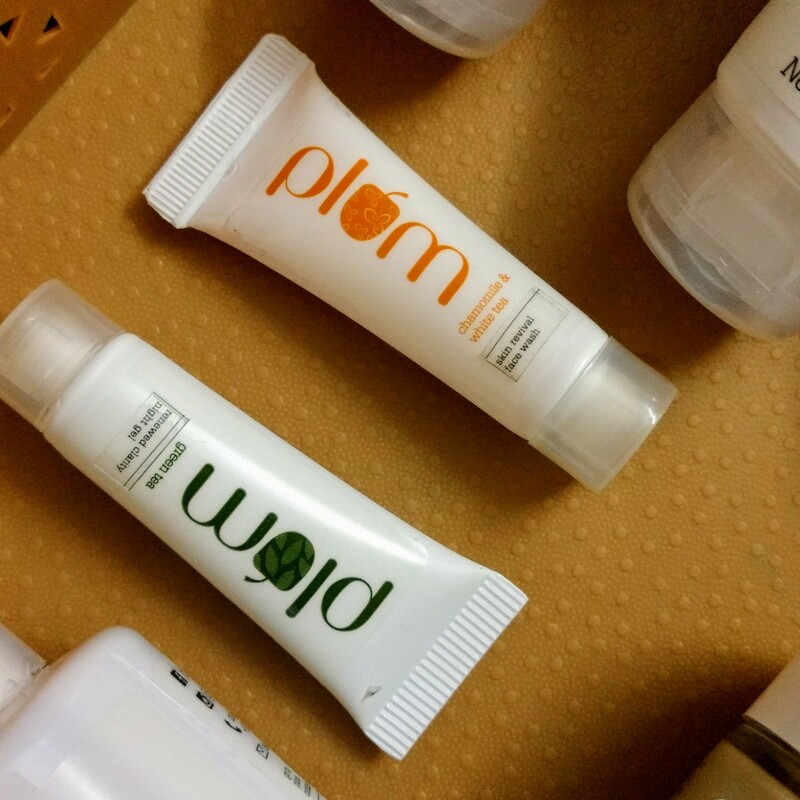 So overall speaking, keeping in mind how high priced the Plum Goodness products are, am happy with the deal I grabbed. 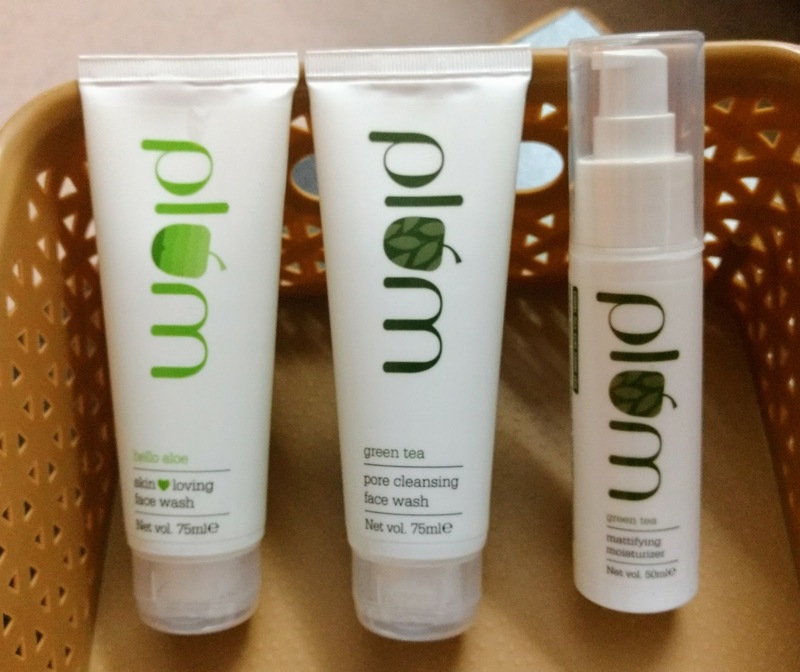 The Green Tea range products have a similar fragrance and almost similar formulation. The toner fragrance is the one I hate most. That's all folks for today. I will be coming up with my most read posts of the year 2017, so stay tuned for that.